Thank you everyone for your support, the 17th WKC has concluded with great achievement from Australia. Dwight Park: Top 16 and Fighting Spirit Award. 3rd place in the world!!! Thank you everyone for your support for this 17th WKC. See you at 18th WKC in France 2021!!! Thank you everyone for your support, the 17th WKC has concluded with great achievement from Australia.Men’s individual competition results:Richard T’en: Top 64Luke Lee: Top 32Dwight Park: Top 16 and Fighting Spirit AwardWomen’s individual competitionJenny Song: Top 32Women’s team competition3rd place in the world!! !Thank you everyone for your support for this 17th WKC. See you at 18th WKC in France 2021!!! Australian player, Dwight Park receives a Fighting Spirit Award. Congratulations Dwight! Court: 2 and 5 https://www.youtube.com/watch?v=oohlTP-eiBg and https://www.youtube.com/watch?v=LFqtbbMnZjE. Court: 3 https://www.youtube.com/watch?v=LFqtbbMnZjE and https://www.youtube.com/user/spotv. The 17th World Kendo Championship action starts tomorrow (Friday 14 September) ! 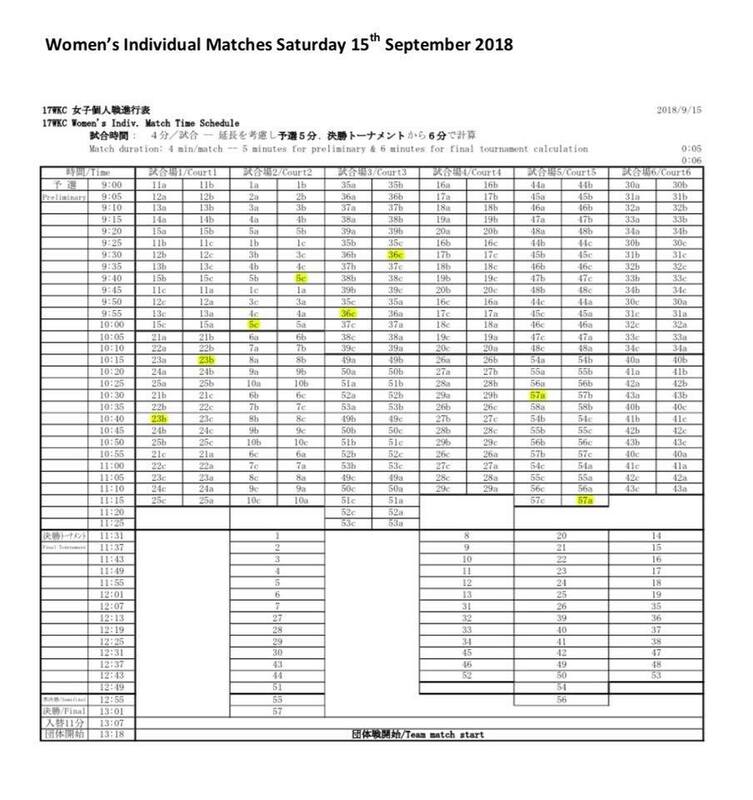 Matches are scheduled to streamed live from https://www.youtube.com/user/spotv. 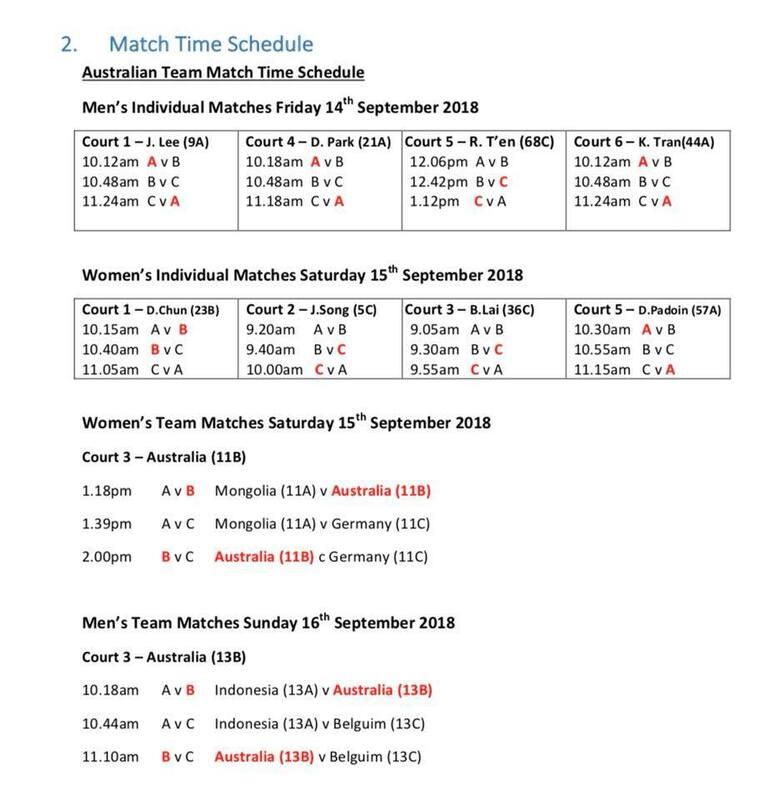 The match broadcast schedules are below. 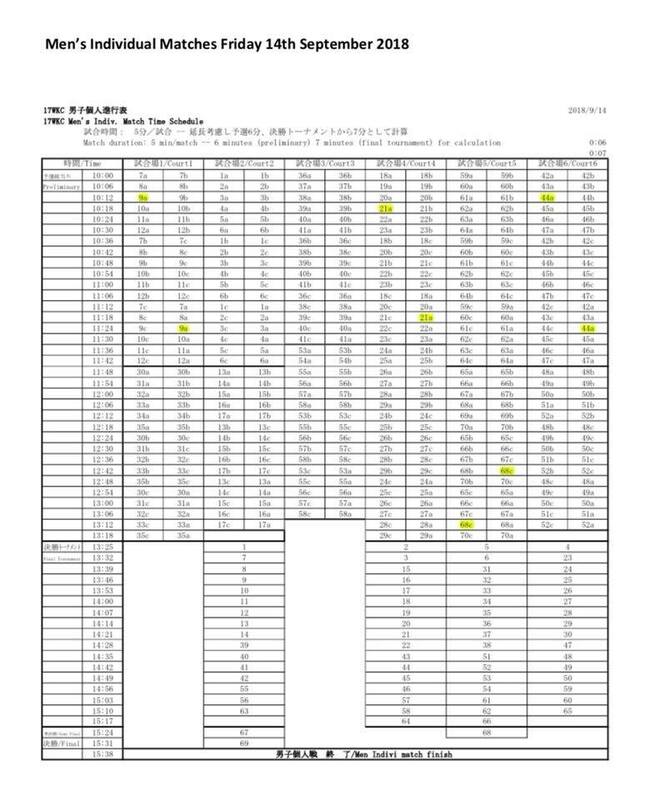 Competition Draws and Pools PDF’s. The Australians are all highlighted, for your convenience. The Australian Kendo Team will soon depart for Incheon in South Korea to compete at the 17th World kendo Championships! To keep in touch with the updates, you can follow the Team on facebook or instagram / @akrkendoteam and check the Team web page back here often! The Australian Kendo Team has put together a WKC brochure to showcase the history of Australian involvement in the World Kendo Championships, from the 1st WKC in 1970 to now. 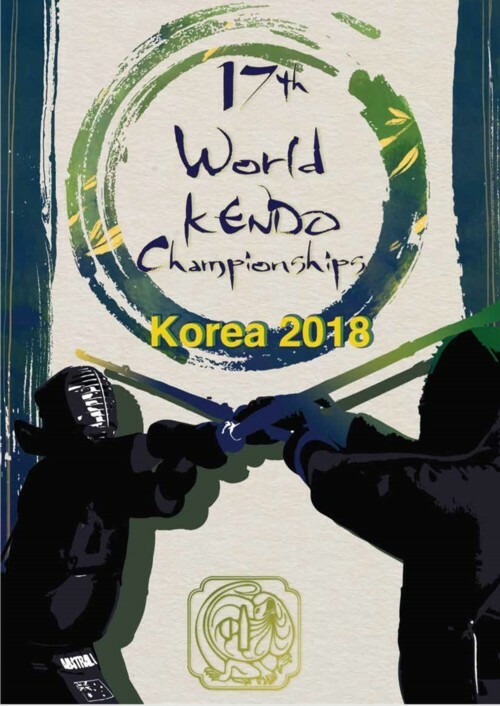 This brochure also introduces the coaches, managers and members of the current Australian Kendo Team who will be travelling to Korea to compete at the 17th World Kendo Championships on 14-16 September 2018. 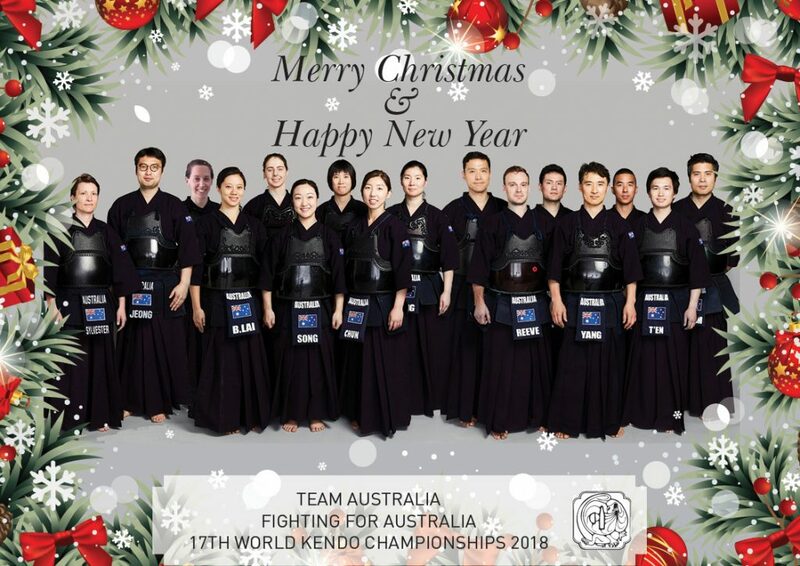 Download the 17 WKC Australian Kendo Team Brochure –High Resolution / Low Resolution. Donors and supporters lists updated. To all supporters of the AKR Kendo Team campaign for the 17th World Kendo Championships. Best wishes to all for Christmas, the festive season and for a happy and safe New Year! Many thanks to our supporters. 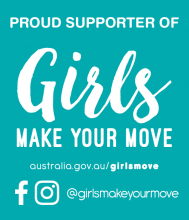 Tax deductable donations can be made using the Australian Sports Foundation website, a secure Australian Government supervised initiative. Thank you to the members of the below listed clubs for purchasing supporter t-shirts and tenegui! University of NSW Kendo Club. Victoria University Kendo Club, Footscray. Arao City Kendo Renmei, Japan. Arao Kaiyo Junior High School, Japan. Arao Ariake Elementary School, Japan. South Australian Kendo Association members. West Australian Kendo Association members. Bun Bu Ryo Do, Toowoomba. Lee Jae Ran, South Korea. Jun So Jung, South Korea. Sungho Jeong, (shinai bags), South Korea. Sehyun Co., (Gi & hakamas), South Korea. Dae Han Moo Do Kwan Kumdo Club, Lidcombe, NSW. South Florida Kendo Club, Florida, USA. 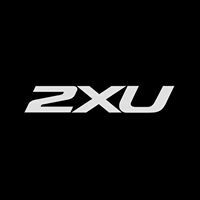 Founded and based in Melbourne, Australia; 2XU was developed by athletes for athletes. Stay tuned for a special offer to AKR members from 2XU in early 2018! And for the latest, follow the Team on facebook, twitter or instagram / @akrkendoteam and check the Team web page here often! In mid 2016 the Australian Kendo Renmei (AKR) called for applications from interested members to be considered for selection as Australian Kendo Team members, to compete at the 17th World Kendo Championships, in South Korea, September 2018. From the applicants, a national squad was established along with the development of a schedule of national squad training sessions, which were augmented by local, squad specific training sessions. 23-24 July 2016, in NSW; 1–3 October 2016, in ACT; 28–29 January 2017, in SA; 15– 16 April 2017, in ACT; `10– 11 June 2017, in NSW. The training sessions were supported by the Team Coach, Kate Sylvester; Assistant Coach Daniel Jeong; Manager, Rob Reid and Assistant Manager, Yaya Bonggotgetsakul. From the national squad, thirteen women and fifteen men kendo players were invited to attend the final session and Team selection, which was held on 2-3 September 2017 in Melbourne. For that occasion, members travelled from Darwin, Sydney, Cairns, Adelaide, Perth and Kumamoto in Japan! The final session and selection was supported by a large number of local Victorian based kendo sensei. They were two groups – shinpan (referees) and selectors. Other selectors from WA, SA also formed the selection panel. 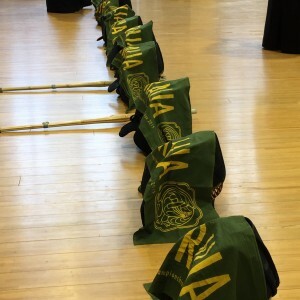 The selection panel members were all previous Australian Kendo Champions in different categories and five of the seven have also represented Australia at previous World Kendo Championships. Additionally, a team of volunteers assisted with logistics, hall management and score keeping. All of whom contributed to the two-day selection event and it couldn’t have happened without their help! Thank you all! Whilst all squad members attending showed a very high level of commitment, enthusiasm and skill, only seven women and seven men could be selected. At the conclusion of the event, Dr Brian Brestovac, The AKR Kendo Board Chairman announced the selection of the Australian Kendo Teams. Congratulations to all of the members selected and best wishes for the road ahead. You and your friends can support the Australian Kendo Team by making a tax deductable donation via the Australian Government supervised Australian Sports Foundation website here. Or, follow the Team on facebook, twitter or instagram / @akrkendoteam and check the Team web page here often! Here’s the latest and you can also stay up to date at the Team facebook page or the AKR facebook page. The 17th World Kendo Championships will be held in Incheon, South Korea, 14-16 September 2018, but the Australian Kendo Squad is already hard at work. In particular, the commitment of the Team members to prepare for and then to attend this important event is a huge task physically, emotionally and financially. 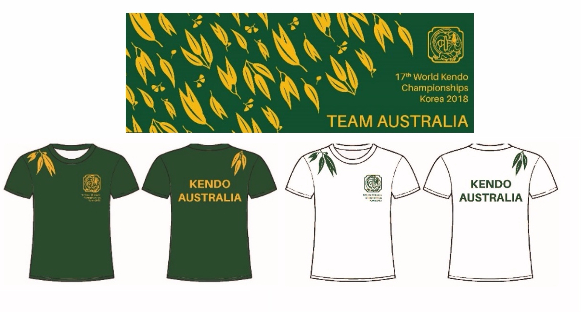 If you would like to show your support for the Australian Kendo Team, you can make a Tax Deductable Donation. Tax Deductable Donations are an effective and popular way for may companies and peopel to support many causes. AKR has joined with a federal government organisation to facilitate donations to defray some of the Team members travel costs. For donations to be deductable, they can be made online, or by mailing a cheque accompanied by a Donation Form.